Supplement Your Wallet & Save On Supplements! The extreme costs of many supplements can simply make a great experience flip. By understanding the tips given in this article, you can efficiently save yourself a hefty sum of cash. Save now and get more! While many bodybuilders love looking through breakthrough supplements and getting the chance to try new supplements, the extreme costs of many supplements can simply make a great experience flip to just the opposite. By understanding the tips given in this article, you can efficiently save yourself a hefty sum of cash. Online supplements cost much less money than supplements sold at retail supplement stores such as GNC or The Vitamin Shoppe. At GNC, NO-Xplode can cost $50, whereas at Bodybuilding.com, NO-Xplode costs under $40. Online stores don't require memberships that cost money just to purchase supplements. To get supplements at GNC for prices comparable to those of online stores, you must purchase a $15 Gold Card. At Bodybuilding.com, no cash is needed to become a member. Bodybuilding.com Doesn't Require A Membership. Even though shipping does cost extra money, usually the money saved overrules to shipping cost. (Also, with prices of gas, a drive to the supplement store within a couple miles of your house might make shipping costs sound tolerable). Buying specific proteins (such as Casein, Whey, and Protein Blends) can save you money instead of simply using one protein for all aspects of the day. While Muscle Milk is a great post-workout protein because of its great protein blend and healthy lipids, Muscle Milk is only an "O.K." protein for pre-bedtime and pre-workout. Muscle Milk costs about $1.67 for 32 grams of protein. If you have 4 servings a day (1 pre-workout, 2 post-workout, 2 pre-bedtime), that's nearly $6.75 a day on protein. Now, by simply buying Optimum 100% Casein Protein and Higher Power 100% Whey Protein, you can take 1 serving of Higher Power pre-workout, 2 servings of Muscle Milk post-workout, and 1 serving of Optimum pre-bedtime for nearly the same amount of grams of protein but for close to $4.50-a-day. Even though this might not seem like much, that saves $2.25-a-day while save you over $820 a year. 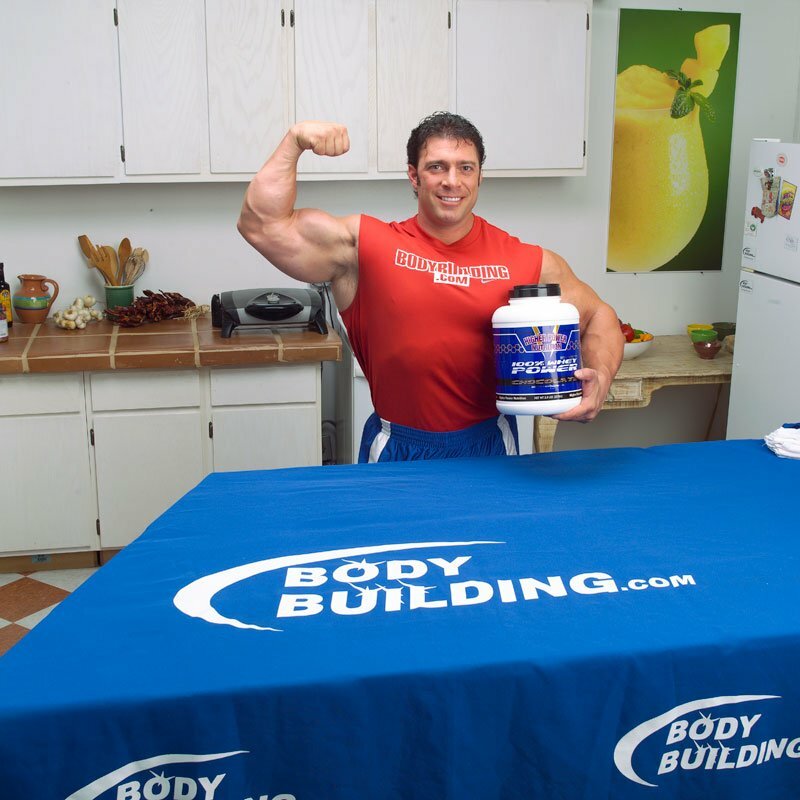 Bob Cicherillo Uses Higher Power 100% Whey Protein. Supplements such as glutamine are simple products. A Muscletech glutamine is not going to be much more effective than any other glutamine product. While a top-seller EAS L-Glutamine powder will cost you $0.10 a day (2 servings daily; one post-workout, one pre-bedtime), buying Higher Power L-Glutamine will cost you $0.06 a day. This also may seem like very little saved, but after a year, you may have saved $15 on only one of your many supplements. Supplements, as do many other things in life, come cheaper in bulk. 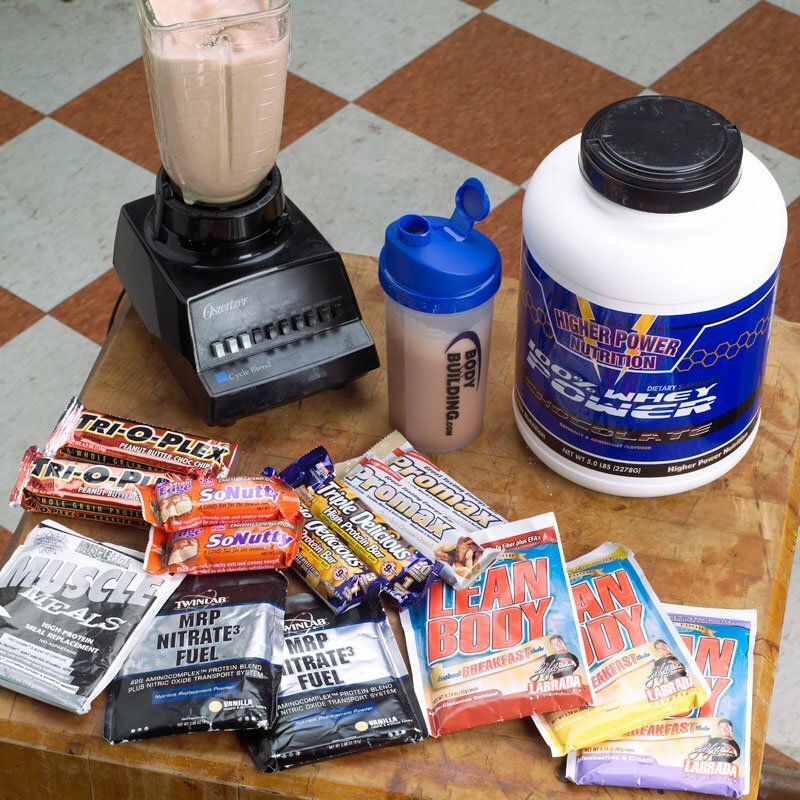 Protein bars, protein powders, and other supplements can save you a lot of money if you buy them in bulk. Supplements Come Cheaper In Bulk. Buying a 10-pound bag of Optimum 100% Whey rather than five 2-pound jugs of the same product can save you $30! Buying a 44-pak of Universal Animal Pak instead of buying three 15-paks of the same product can save you nearly $10. Check your email! Bodybuilding.com sends out a discount code for events such as birthdays and for being a regular customer. Look for ways to make supplement money. Bodybuilding.com has an affiliate program that can save you a lot of money as long as your friends show that you recommended them to Bodybuilding.com. By applying these tips while purchasing your supplements, you can save yourself a large amount of money. Be smart. Buy smart. Get big without putting a hole in your wallet.